Start your wedding journey with us! The journey from betrothal to the altar is full of goose bumps and involves careful preparations. While you undertake the responsibility of making everything perfect for your children on their grand wedding day, we endeavour to showcase our best efforts in making travel arrangements hassle-free. Our operating range provides luxury coach on hire for wedding in Delhi to ensure that your guests enjoy all the necessary comfort. 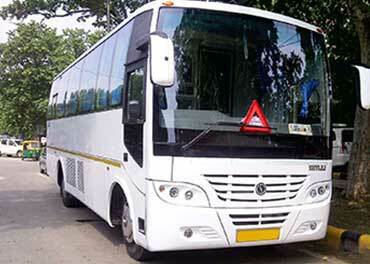 We avail our customers luxury bus in Delhi, luxury wedding coach rental service so that your guests may reach the wedding venue comfortably. No one understands you better than us. This explains why we have an extensive diversity of luxury buses on rent in Delhi that caters exclusively to wedding orders. Pre-wedding jitters are common, which explains why our luxury coaches for wedding are equipped with all the basic necessities and comforts that you could have asked for. Most people reel under the myth that being costly is synonymous with better services. What they fail to realise is that often the most unique solutions are the simplest ones and that quality is not proportional to the amount you expend. This explains why we do not charge hefty amounts, unlike our competitors who charge extravagantly for every additional service availed. KTC is a family-run business owned and run by generations involved in making travelling arrangements for their customers. 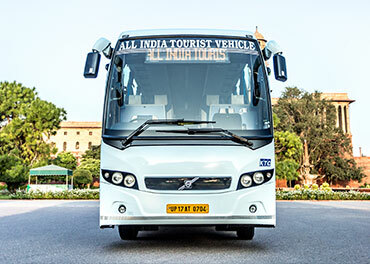 Be it leasing out luxury buses or wedding coaches on rent in Delhi or offering the more stylish Vintage luxury collection that lends an exalted feeling to the newly married couple. Wedding implies lifetime commitment towards someone special, and hence, ascertain that your feeling of loyalty towards your partner starts on a good note. Being in business since 1943, we have witnessed and experienced the change in city’s roadmaps and culture. We realise how a small misunderstanding can mar the joy of any wedding and, hence, engage in detailing everything beforehand to avoid any hurdles while travelling. With services that are of unmatched quality and journey that is comfortable, we promise your loved ones the joy of attending marriage sans any inconvenience or discomfort. Our experienced chauffeurs are well versed with all the routes in the city, thus, assuring timely arrival of your guests. We take pride in saying that being the oldest in this business, we have been a part of many people’s wedding journey.